Comment: Buying a home that needs insulation replaced in crawl SPACE . appox : 1400 SQ FT . Comment: This is a home built in 1977, which currently has 6 inches of white, blown insulation. The home has high humidity when the a/c is in use. Comment: Blown-in insulation in approximately 1600 square foot home. Quality Insulation of Conroe, Ltd.
Huntsville Insulation Contractors are rated 4.75 out of 5 based on 103 reviews of 10 pros. 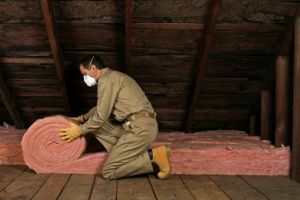 Not Looking for Insulation Contractors in Huntsville, TX?